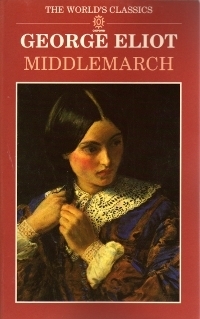 I just finished the epic project of reading Middlemarch. Somehow, after 785 paperback pages, I actually miss it. Obviously Middlemarch doesn’t need me to sing its praises, but it was even more beautiful than I expected. Perfectly plotted, minutely observed, rarely boring (except when everyone in town drones on about hospital plans for a whole chapter) … reading it will make your writing better. I had to stop myself from reading every few lines aloud to my partner. Contest: Reach Your Writing Goals, Win a Prize!